FOXBOROUGH, Mass. — On ESPN’s NFL Live program last month, New England Patriots Hall of Famer Tedy Bruschi discussed the team’s transition from Brian Flores to Greg Schiano as the defensive play-caller, and what might prove to be Schiano’s biggest challenge. It wasn’t related to scheme. Instead, Bruschi highlighted the importance of relationships and building trust. “This is what’s so valuable to me, and it’s gone all the way back to the coordinators with Romeo Crennel, Eric Mangini, Matt Patricia,” Bruschi said on the program. “You get [Bill] Belichick in a team meeting and he beats you down, but then you break up and get into the defensive meeting room. And if Schiano is the voice there, he has to understand: Is he the type of guy who brings the fellas back up? What kind of mentality does he have? 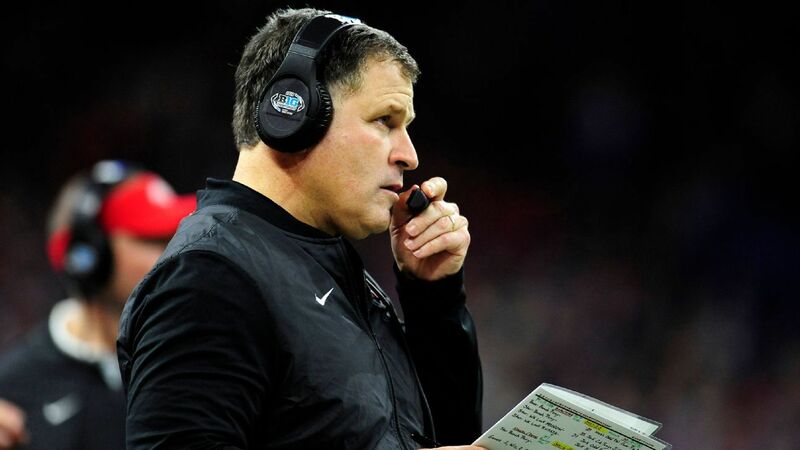 How Schiano, 52, connects with players will be one of the more closely watched storylines of the Patriots’ 2019 season, as he returns to the NFL for the first time since being fired in 2013 after two seasons as Tampa Bay Buccaneers head coach. He has spent the past three seasons as an assistant head coach and defensive coordinator for the Ohio State Buckeyes. His rigid style turned some players off in Tampa, but one thing that figures to help this season is that three of Schiano’s former players at Rutgers — veteran defensive backs Duron Harmon and twin brothers Devin and Jason McCourty — are key Patriots defenders. • Browns on Sunday night opener? • Chargers owner: We feel good about L.A. The coach-player dynamic will naturally be different from their time at Rutgers. “Seeing him back here is funny because the last time you played for a guy, you’re 18 to 22,” longtime captain Devin McCourty said. “So it’s a totally different ballgame. I’ll be 32 for this season and I’m interested to see the dynamics and how he’s changed. Jason McCourty last played for Schiano in 2008 at Rutgers. “In college, it’s just different,” he said. “You relate to him from a coaching standpoint: It’s, ‘Hey, these are the expectations [and] I expect you to live up to them.’ When you don’t live up to them, there are going to be consequences — whether it’s running, coming in early, whatever the case may be. That was kind of his way — setting the standard and holding you accountable to achieving the standard. As for Schiano’s preferred approach from a scheme perspective, all three Rutgers alums cited the same word: aggressive. How much influence Schiano will have over the Patriots’ approach remains to be seen, as coach Bill Belichick has traditionally been heavily involved with the unit, especially the front seven. Meanwhile, Schiano has had some of his greatest success developing defensive backs, so it wouldn’t be a surprise if that type of combination — Belichick overseeing the front, Schiano focusing on the back end — ultimately reflects how things unfold in 2019. Devin McCourty can envision how the two coaches combining brainpower might benefit the team. “One phrase he always used to say was, ‘simple us, complex them,’” he said. “He always wanted us to understand our defense as a whole, and what we were trying to do, and also understand how we could make it more complex for the offense to figure it out. In doing so, the players expect a discipline-laden approach, with sharp attention to detail. Both Devin McCourty and Harmon had a similar experience. “Playing for Coach Schiano, coming in as an 18-year-old, was extremely hard,” Devin McCourty said. “Very disciplined. I remember times when we had to come all the way up the line. Not over the line. Not to behind the line. I remember small details like that, which when you’re a teenager, you hated. If you didn’t do it right, you’d be running laps. That was a popular phrase for Flores when the former Patriots defensive playcaller spoke with reporters throughout the 2018 season. He talked about the combination of discipline and compassion weaved together with the goal of helping players becoming their best selves. Flores had a built-in connection with players similar to Patricia before him, as both worked their way up the ranks in the Patriots’ scouting and coaching staffs. That’s a background in the organization that Schiano doesn’t have, so there’s some ground to make up.